Need a job? Check out our upcoming classes and programs. 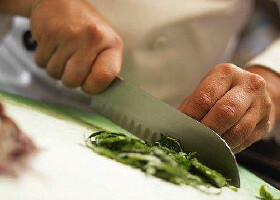 Now enrolling for an one-month-long culinary job training program. Learn á la minute cooking techniques, hone your knife skills, practice kitchen etiquette and line terminology, and more! Get a job in the custodial field! Sign up for free training on tools, chemicals, and equipment. Learn cleaning techniques and valuable safety skills during this course. 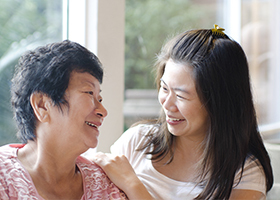 Get a job as an in-home caregiver! Sign up for this course to receive training on personal elder care, emergency response, and more. Get a job as a home health aide in senior facilities! Sign up for this course to receive training on professional elder care, first aid, CPR, and more. Interested in working in a hotel? Enroll in a six-week hotel housekeeping training program. Learn about housekeeping terminologies, standard hotel operating procedures, and more. We frequently hold classes for a variety of our programs including the SF Pathways to Citizenship and our employment services including home health aide training, housekeeping training, custodial training and culinary training. These programs have a number of dates and times throughout the year, making sure everyone who is eligible to participate is able to do so. For more information about our upcoming classes, give us a call today!